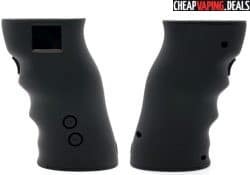 This new mod features 21700/20700 batteries, 120 watts of adjustable power, versatile working modes such as temp control and power curve, a stealth mode, a grenade type appearance, a 0.96 inch full color display, a trigger style fire button and a multitude of safety features. 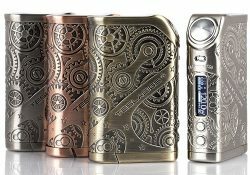 The Tesla Nano is back with a steampunk version. 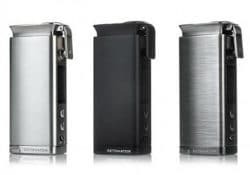 The new mod features a die cast zinc alloy body, is powered by dual 18650 cells, has up to 120 watts of power, features temperature control modes, can be fired in TCR mode and has a taste control system. 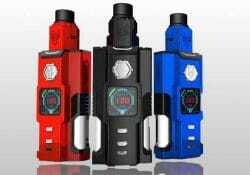 The portable Rabox Mini features the same appearance as its larger brother, an erogonomic design, transparent panels, LED lights, three output modes, a powerful integrated battery and is waterproof, dust proof and oil proof. 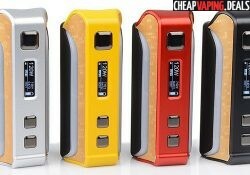 The Shogun Jr is the smaller version of the 180W Shogun Univ. 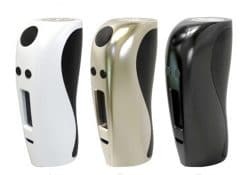 It features amazing craftsmanship, a portable design, double-sided resin panels, an exquisite appearance, almost instant firing, 126 watts of power, a 4500mAh integrated battery, micro USB charging and a wide range of operating modes including power, pod, pmode and temperature. 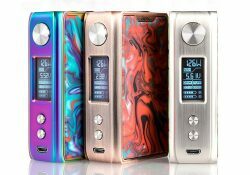 The new Baby Ness features amazing temperature control versatility including TFR and TCR modes, taste modes, 120 watts of power, 21700 battery compatiblity for long vaping times and an amazing design. 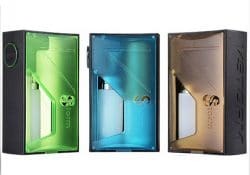 The Sigelei Snowwolf Vfeng Squonk Mod Kit features 21700/20700/18650 battery compatibility, dual 3ml internal juice bottles, a full temperature control suite, a massive TFT color screen and a BF RDA with large build deck, flavorful vapor output and side adjustable airflow. 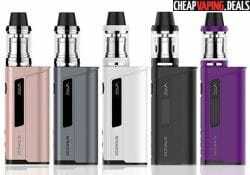 The Oceanus Kit with Scion Tank features 110 watts of output, three adjustment buttons, a magnetic battery cover, 2 amp fast charging, a top filled 3.5ml tank and includes both a pre-built coil and RTA build deck. 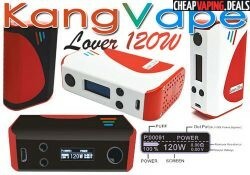 The Lover is a brand new inexpensive box mod from Kangvape. It can power builds or tanks with up to 120 watts, features temperature control and is affordable! 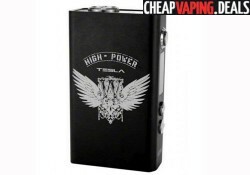 The Dime Box features a whopping 6 Volts of maximum output and up to 120W of power. 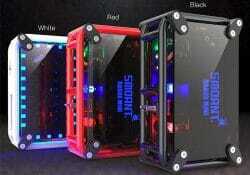 Every Dime Box is one-of-a-kind because of the way it was made. 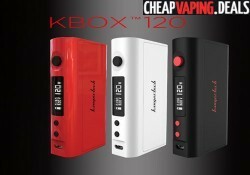 The device is nicely built and performs quite well. 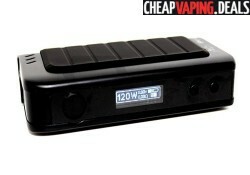 It's definitely able to run high wattage tanks or atomizers. 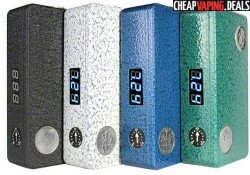 The vape mod also allows for an excellent dripping experience.